Beautifully designed and 100% comfortable, the Jart 862 sandals from Fly London will never fail to please. These lace-up wedge sandals keep you in trend with the fashion while pampering your feet for stress-free walking.Soft full-grain Mousse leather upper.Low-on-the-toe lacing system for flexible fit.Adjustable ankle strap with hook and loop fastening.Open toe and heel construction for breathability. Breathable and moisture-wicking leather lining for abrasion-free wear. Non-removable, leather lined insole for cushioning and support. 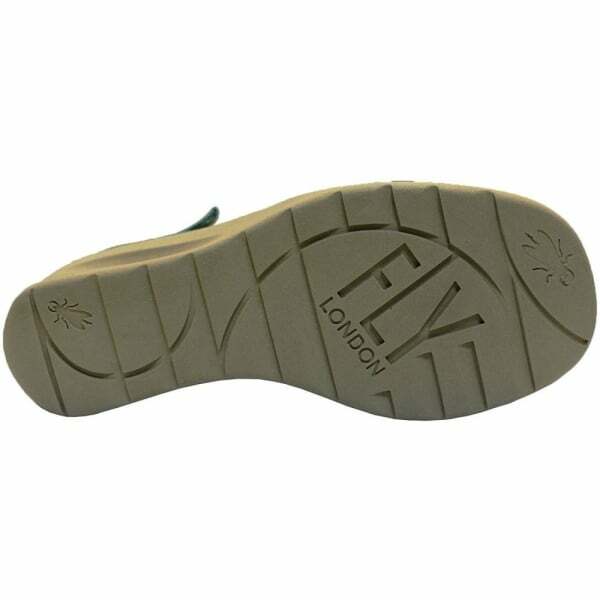 Chunky, flexible and durable wedge rubber sole.7.5 cm heel for height boost and stability.